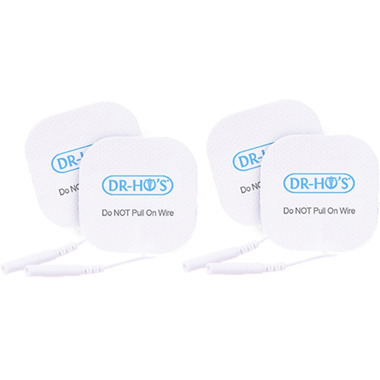 DR-HO'S 2 Pair Small Gel Pads are the regular sized replacement gel pads for all DR-HO’S Pain Therapy Systems. Dosage: Use them on your neck and shoulders, wrists and hands, back, legs, and ankles. Can be used up to 70-100 times. Recommend to spray water on gel pads before each usage. Do not pull on wire. Caution: Please do not use, if you are pregnant, younger than 18 years of age, use a pacemaker, a person with complicated heart conditions, Epilepsy, or has suffered an epileptic episode in the past. I've used my Dr. Ho system for several years now and have found it to be of great benefit in relaxing tense muscles and helping to realign minor dislocations. Glad I was able to find these pads at such a decent price on Well.ca. Had never heard of this company before but glad I found it! Now I recommend well.ca to everyone. Great pads. I would highly recommend them. I think the 70-100 times is a bit over the top but not much. Better than the originals...super sticky! The product is pretty simple and I already had a Dr. Ho so no surprises. However, I was most impressed with the service from Well. This was my first purchase and the product arrived in good time, Well.ca kept me informed of delivery and I have to say I was impressed. Will certainly consider this source for future items. I order these all the time. They are great and Well.ca is the cheapest place to buy them. I like that they come with the case and you dont have to keep trying to stick the plastic back on the other ones these ones you just put back in the case and done. And they're a lot cheaper at Well.ca. All my friends in Edmonton, Calgary and surrounding areas only shop at Well.ca now for the great prices and fast free shipping. Keep it up Well.ca your doing great and the more we tell people the more they think so too. Better than the original pads that came with it - I can't believe how nice they are and how they just keep on stickin!!!! I was so happy to find out that Well.ca sold this product. The new pads are so much better then the old pads. It was so easy to order and arrived very quickly. I'm very pleased with these gel pads. They stick really well and work great. The price was the best I found on the internet. Would definitely order these from Well.ca again! 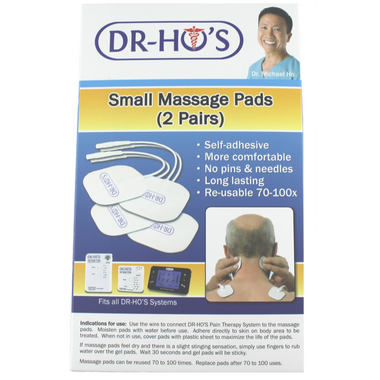 This product was as good as original pads(maybe better) but the better price than Dr. Ho's web site is what caught my eye.Shipping cost have stopped most of my online buying so free shipping with EXCELLENT speedy service was very impressive.As I become more familar with your products I expect to order more things. Perfect replacement product. Works well and were reasonably priced. I haven't ordered new pads in many years. These small pads are a little different in that the backing seems to be cloth rather than a rubberized flexible plastic. They are really sticky. They stay attached once applied. Sure glad I ordered these. So happy to be able to buy these on line Used to get them at the driug store but not availabe anymore. Reasonable price, timely shipping. Only wish we could buy only the gel pads without the electrodes like we used to. These are good quality electrodes and gels at a very affordable price. I'm very happy with my purchase, and I will shop at Well.ca again. Very good, product as expected, fast spipping.